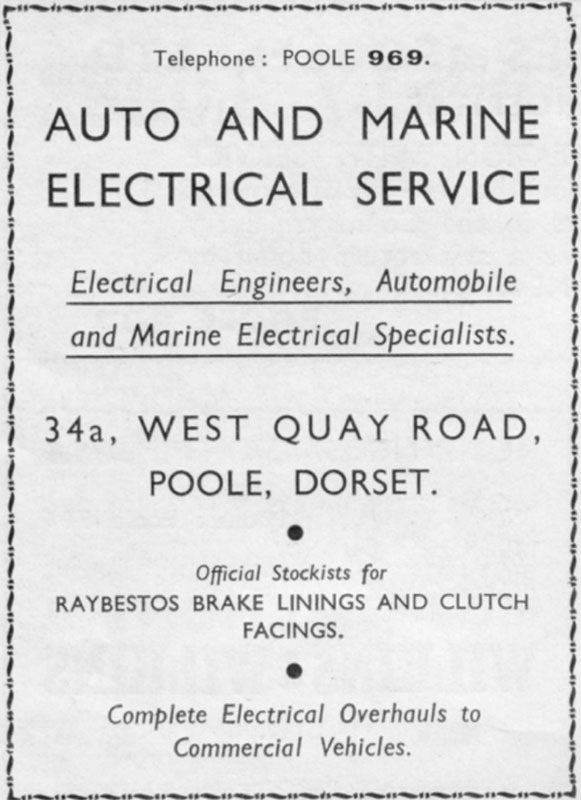 Advert for Auto and Marine Electrical Service. Auto And Marine Electrical Service. From the 1947 Poole Guide. Electrical Engineers, Automobile and Marine Electrical Specialists. Brake Linings & Clutch facings.